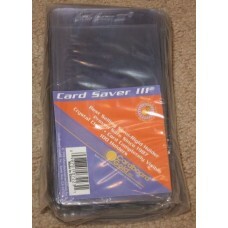 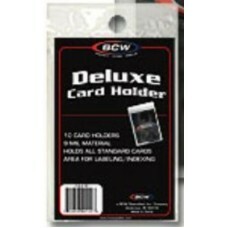 Semi-Rigid Card Holders are sturdier and offer better protection than poly sleeves, but are not as thick as toploaders. 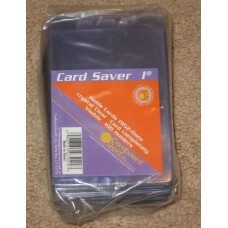 Each protector holds one card. 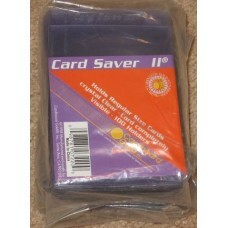 They offer adequate protection for low to mid value cards, and are great for selling cards online because they are lightweight, flexible, and can be mailed at the letter or flats rate. 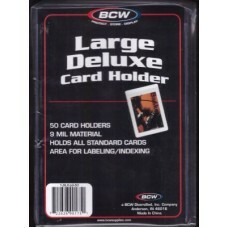 Additionally, most professional trading card grading companies want you to submit your cards to them in the larger type semi-rigid holders, so that they can be easily cut off without damaging the card.